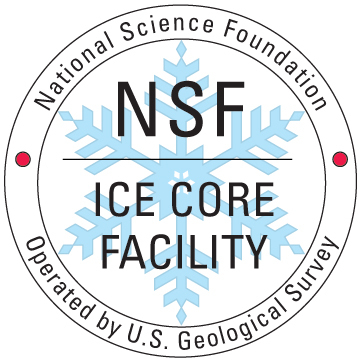 The National Science Foundation Ice Core Facility (NSF-ICF) — formerly the National Ice Core Laboratory (NICL) — is a facility for storing, curating, and studying meteoric ice cores recovered from the glaciated regions of the world. NSF-ICF provides scientists with the capability to conduct examinations and measurements on ice cores, and it preserves the integrity of these ice cores in a long-term repository for future investigations. use the NSF-ICF facility for core processing or for other laboratory work. Learn about the NSF-ICF facility, what we do at NSF-ICF, our location, and our contact information. Learn about requesting samples, storing ice cores, using NSF-ICF, and scheduling a sample visit. Learn about ice cores, what we do at NSF-ICF, how ice cores are drilled, and watch videos about ice cores.